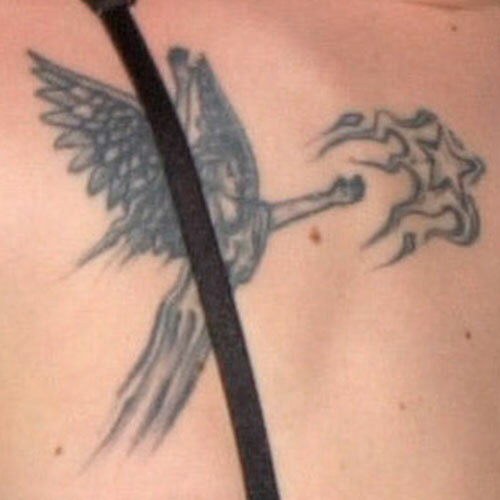 Pink has a tattoo on her left shoulder blade of an angel reaching towards a shooting star. 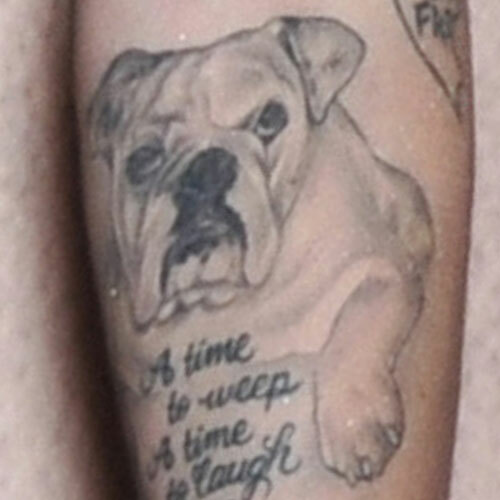 Pink has a tattoo on her left forearm in memory of her bulldog Elvis. 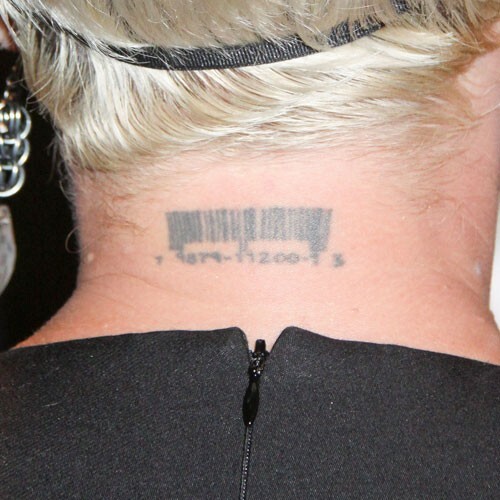 Pink has the word “HELP” and a little panic button tattooed on her right elbow. 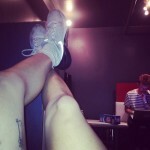 Pink has many Japanese characters tattooed on her left ankle and foot. 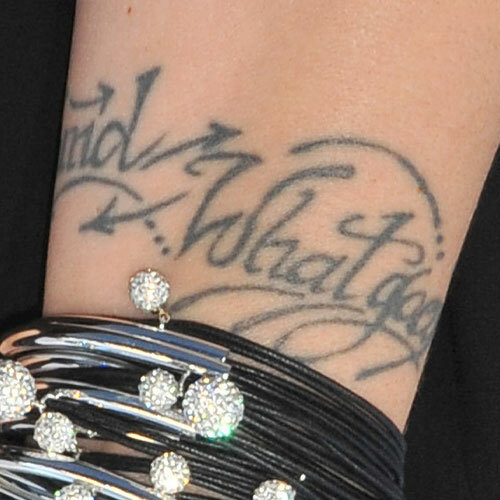 Pink has a long passage tattooed on her left forearm which includes Biblical verses from Ecclesiastes 3. 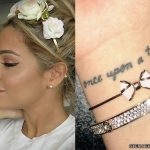 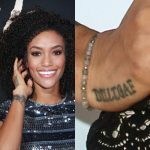 It reads “A time to weep / A time to laugh / A time to mourn and / A time to dance / Sleep in peace / my darling / I release you.” On her wrist is a razor blade. 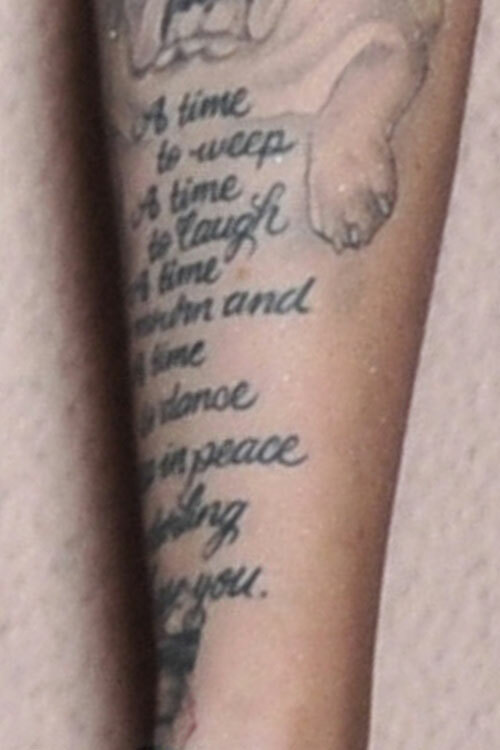 Pink has a tattoo on her left forearm in memory of her dog “Sir Corky Moore” whom she had for many years. 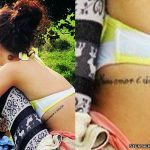 Beneath the name are the dates “89-03” for the 14 years that she had the dog. 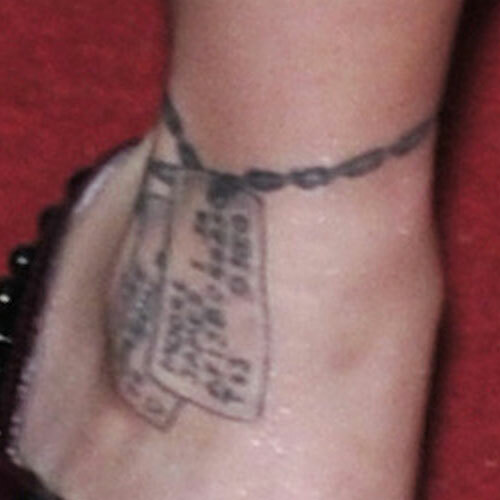 Pink has a pair of dog tags tattooed on her right ankle representing her brother and her father. 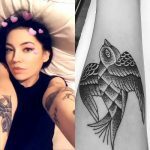 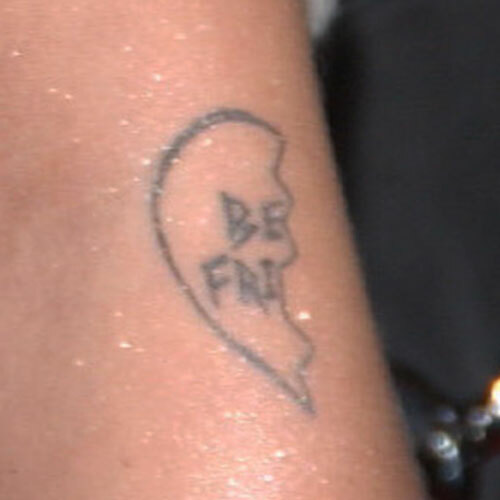 Pink has half of a “Best Friends” broken heart tattoo on her left elbow.